I miss Georgetown. As a GWU alumna, I used to spend most of my weekends bouncing between Dupont Circle, Georgetown, and Foggy Bottom. It was always a treat when my mom would come visit for soccer games or parents weekend, because I’d get to spend time with her in a cute hotel around Foggy Bottom. 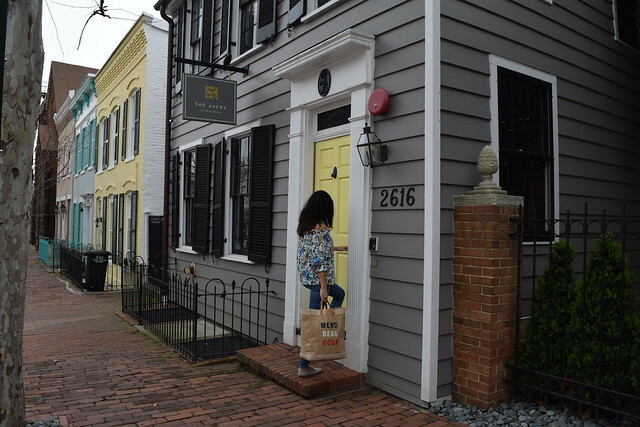 I stumbled upon The Avery Georgetown after several unsuccessful Google searches plugging in some version of “cute, affordable hotel in Georgetown.” The Avery finally popped up as a charming option, in upper Georgetown, one of my favorite neighborhoods in the city. 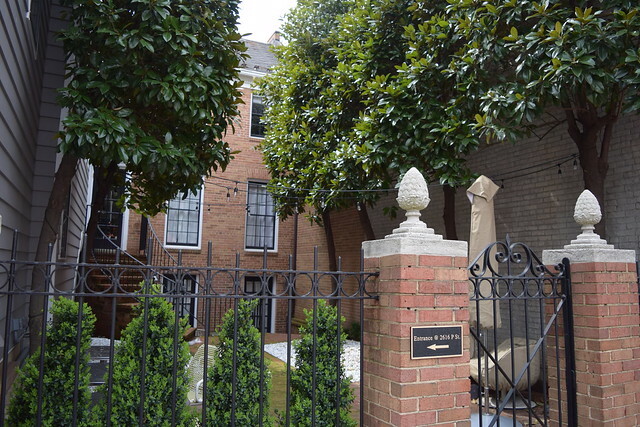 Turns out, the Avery is a recent addition to Georgetown. A new, affordable, and charming hotel you should add to your list the next time you need a hotel for out-of-town guests. We checked in after a late dinner on Friday night—and by late I mean midnight. After knocking on the door of what was essentially a townhouse, we were greeted by the friendly concierge, who had our room keys waiting. He graciously grabbed our luggage and escorted us to our room. 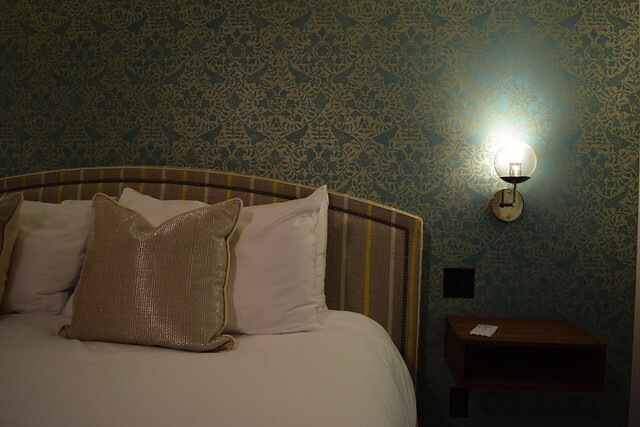 The Baroque wall paper and L’Occitane products were charming accents that instantly helped us relax. We flopped into what may have been the comfiest king bed I’ve experienced at a hotel in Washington. Which reminds me: I’ve been meaning to call back to ask where they got their mattresses. The Avery opened a year ago, which made me feel better for never recommending it to my mom when she visited me in college almost a decade ago. The main building used to be a law firm, which the owners bought and converted into a boutique hotel. 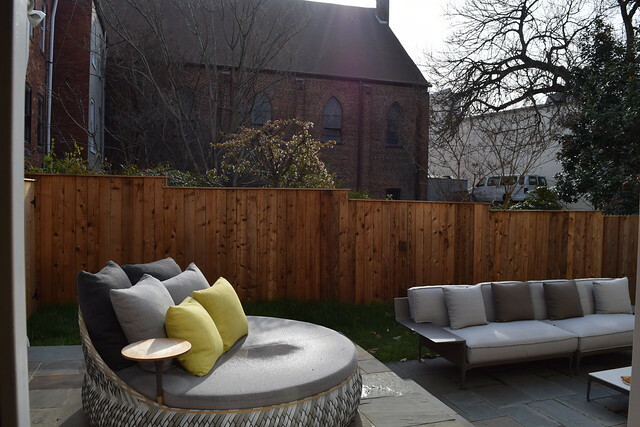 They also purchased the connecting residential property next door, explaining the gorgeous courtyard lined by magnolia trees, a lovely retreat for hotel guests in the warmer months. 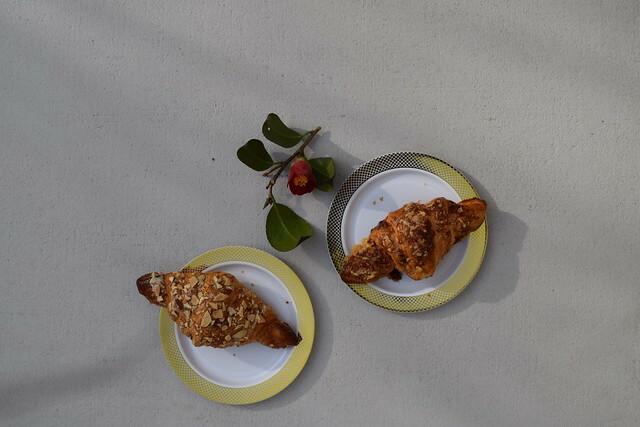 We woke up Saturday morning and made our way down to the lobby for complimentary coffee and local pastries. An unseasonably warm day in March, we took our breakfast outside and enjoyed it on the private back patio with buttercup yellow accent furniture and throw pillows. If you’re looking for a staycation or a great hotel to send family or friends for an overnight stay, in a charming, quiet location, The Avery is an excellent option. It was one of the best sleeps “on the road” that I’ve had in a while. We’re so thrilled that this is a new addition to the Georgetown hotel offerings. Just in time for graduation, Mother’s Day, spring visits, or a much needed staycation, readers can use code “BWB” to receive 15% off the best available rate on www.averygeorgetown.com.